Charming Disaster’s “Be My Bride of Frankenstein” is a monstrous love song inspired by retro novelty rock, channeling classic Halloween hits by way of Nick Cave & PJ Harvey or perhaps Boris Karloff & Elsa Lanchester. 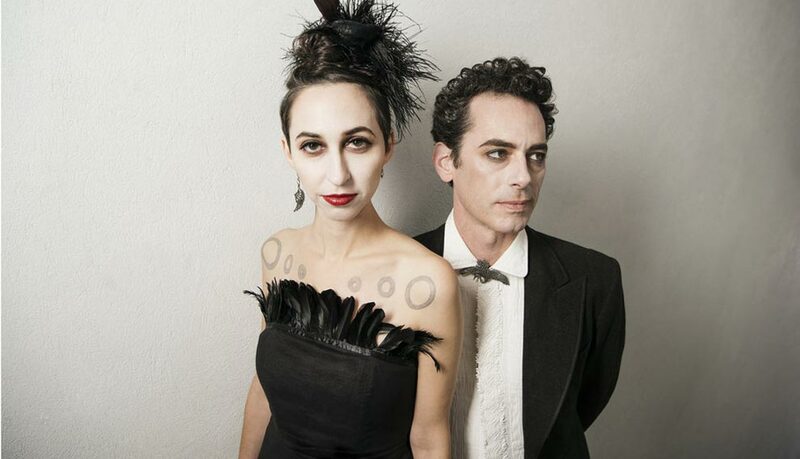 In their latest single, mystery infused pop duo Charming Disaster follow in the tradition of goth-rockers like the Cramps, Bauhaus, and Siouxsie & the Banshees, nodding to spooky hits like “Monster Mash” and “Werewolves of London,” with a little Munsters and Addams Family thrown in. It’s the perfect number to include on any Halloween (or wedding) playlist. “Be My Bride of Frankenstein” is out on Oct. 5th and will be included on Charming Disaster’s forthcoming release date TBA third album, SPELLS + RITUALS. Creative Commons Copyright, 2017. Some Rights Reserved.